David Hibbert, B. Eng. Sc., B.Th. David trained and worked as an Electrical Engineer before responding to the call to full-time Christian ministry. 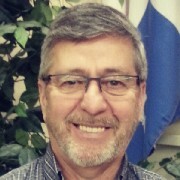 After graduating from Bible College, working as an interim minister in Northern Ontario, and serving as the director of a Men’s Mission in Peterborough, Ontario, in April of 1990 David moved with his family to Brossard, Quebec to start a multi-cultural English-speaking church for the South Shore region of Montreal. His vision is to develop an Apostolic Centre that will raise up leaders and churches who will demonstrate and bring the Kingdom of God to the Montreal region and beyond. David and his wife Kathy have 4 children. David’s mission statement is “to build, equip and release purpose in people’s lives.” David’s strengths include teaching, developing training manuals, mentoring, strategizing, and moving people into their God-given purpose in life. Kathy Hibbert, B.E.Sc., B.Th., M.Th. Kathy grew up in London Ontario, and is a graduate of the University of Western Ontario. After graduation she moved to Chatham Ontario and worked for Union Gas Company before marrying David and moving to Hamilton Ontario where David was employed as an Engineer by Stelco. A move to Peterborough for training in Bible School was followed by a move to Brossard where they have resided since 1990. With a desire to see the body of Christ walk in wholeness and maturity she has supported David in his call to ministry, while developing her own teaching and encouraging ministry. For many years Mike and his wife Sandy have been Administrators of a Children’s Residential Christian Camp and also were Directors of a Montreal Regional gathering for youth and young adults. They have also been key speakers for both of these ministries and have also spoken at a Pastors’ convention in the Philippians. Their vision is to see people come into a deeper intimate relationship with Father, so much so, that their lives are changed, their family life is changed, and the many facets of Kingdom of God would overflow into the hurting world around them. For the last five years Mike and their two sons have established a Marketplace Ministry through their company Mikott. Their daughter is actively involved in worship and youth ministry. Presently, they also have six grandchildren and pray that they too will pursue all that Father God has for them. Sandy aspires to enable people of all ages to perceive God as One who is not dormant within the pages of the Bible but One who is the Living, active powerful Creator Who longs to express His love within each individual. In 1989 as she saw the need for a more energetic hands-on educational program for children she embarked on a personal journey to be actively involved in and create curriculum for Children Ministries and Youth Ministries. Sandy is now an Ordained Minister and is currently ministering along with Mike as the Ministers of Pastoral Care and Church Administration at Destiny Christian Church. For those who attend Destiny Church, they also make available the healing ministry “Sozo Journey” which offers integrated ministry based on the Restoring the Foundations Model. Debby Baril, B.Th., M.Th., D.Th. With over 20 years in ministry, Debby Baril preaches the Word with conviction and humor. Laying foundational biblical truths, she points to and emphasizes the centrality of the Gospel – Christ and His finished work. The call to yield to Holy Ghost transformation accompanies Debby’s messages as she invites believers to walk in greater maturity and Christ-like character. 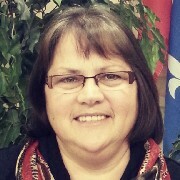 Debby ministers mostly in Quebec, Canada, but has also been privileged to minister in the USA, Haiti, Kenya, Romania, Philippines, Mexico, and Nigeria. David has been working with people to help them bring out their best for most all of his adult life. Following 10 years of teaching in the Public School system in Quebec, David was trained and became a Salvation Army Officer where he served in a varied assortment of roles for 28 years before taking an early retirement. During his years of service David has been a pastor, church planter, denomination executive, editor, director of Pastoral training, and Regional Director of Church programs for the Salvation Army. In 1998 he began actively coaching Salvation Army leaders. 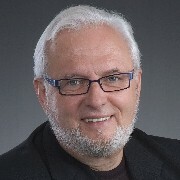 In 2005, as an assignment for the Executive Leadership course given by Simon Fraser University, David and a co-worker from the neighbouring Salvation Army district developed a course for training coaches and establishing coaching networks. Currently David continues his teaching and preaching ministry as an associate minister of Destiny Christian Church. Most recently his services have been enlisted as part-time Chaplain at a local hospital. As CEO and Founder of “David McCann Coaching”, he works as a coach / consultant for Business and Church Leaders. All services and ministry are available in both English and French. Bien que nous soyons à l’air de la communication, celle-ci est déficiente dans les familles, les églises, ainsi que dans les entreprises. Gaston est actif dans le secteur de l’immobilier et du courtage hypothécaire. Johanne agit comme massothérapeute et homestager. Tous deux ont à cœur d’aider à amener de l’harmonie dans les relations entre les individus. Ils agissent comme enseignants et conférenciers dans les groupes et organismes qui utilisent leurs services. Even though we are in a communication era, it may be very lacking in families, churches and also in business. Gaston is active in the realtor and loan business. 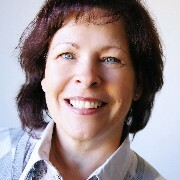 Johanne is a massage therapist and a home stager. They both have on their hearts to help bring harmony in relationships between individuals. They are used as teachers and speakers in groups or organisations that use their services. Together they serve on the leadership team of Centre Evangelique De Chateauguay. Jacques et Marie sont des Pasteurs reconnus qui pratiquent le Ministère de délivrance depuis 15 ans. Témoins de plusieurs guérisons physiques, psychologiques, et émotionnel s à travers la libération de puissances spirituelles, ils veulent ouvrir ce service personnel au corps de Christ, à ceux qui sont malades, se sentent tourmentés, oppressés et incapables de demeurer dans la victoire dans certaines régions de leur vie. Jacques and Marie are accredited Pastors and have been practicing Healing through Deliverance for the last 15 years. Having witnessed many physical, psychological, and emotional healings through the freedom of spiritual bondages. They are opening this personal Ministry to the body of Christ to those who are sick, tormented , oppressed and unable to maintain victory in certain areas of their lives. Jacques was raised in a French Canadian Christian family in the small town of LaTuque, Quebec. He has been married to Marie for the past 25 years, and it the father of five children, 4 boys and 1 girl. Jacques worked as an R.C.M.P. officer for 28 years and at the same time was part of the Pastoral eldership team in a church for 4 years. Jacques retired in 2003 from the police career to answer God’s calling to become assistant pastor of a Cell Church on a full time basis. Have been Ministering pastorally as a team with his wife Marie ever since. Marie was born in the Saguenay region, and is the last in a 13 child family. She became a Christian at the age of 20, and become involved in summer camps, and on the missions field. Her formal education is in nutrition and Bible School. She married Jacques Loyer in 1989, and raised and Home Schooled her three children for 14 years. She partnered with Jacques on an eldership team, and has been involved in pastoral duties ever since.